The channels we use to communicate with one another have expanded and continue to grow. The communication needs of people have changed so much that it is not easy to identify which communication channel is best for us and when to use them. Nowadays people usually avail all the opportunities they have to get best for them. Calling, texting, and internet are the communication channels that people mostly use and don’t want to rely on any one of them. To ensure successful communication telecom companies always try to give best quality services to their customers. 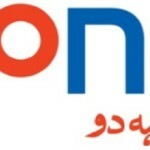 Zong is always consistent in offering low rates to its customers and consistency is necessary to keep customers happy. Once again Zong has given you the chance to call, text and internet usage at lowest possible rates of Rs 8 + tax. Like the variety of choices in bundles, Zong also gives you two different approaches to activate the hello offer. Pick up your phone and dial *2200*1# from your Zong connection or just type “Sub” and send it to 4952 for the activation. 100 minutes from Zong to Zong to enjoy extensive talk time. 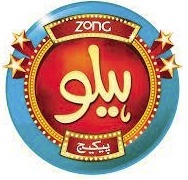 Text to any local network in Pakistan with 100 SMS. This plan offers free Facebook with 50 Mbs of mobile data. This offer is open to all prepaid clients of Zong. The validity of the offer is until midnight of the subscription day. Offer is auto recursive; it will renew at 12 am if you have sufficient balance. Rs 0.15 as call setup charges will apply to each call. The offer will automatically expire at midnight if you don’t have enough balance of more than Rs 8. Dial *2200# and then select 2 to activate this offer. A hybrid plan is always needed by users as it contains all the services at low rates. With hello offer Zong has made it possible for you to stay connected with loved ones through calls or SMS and allow you to share your memorable moments on Facebook. Enjoy the best services in Hello offer with unlimited free minutes, SMS and mobile data.